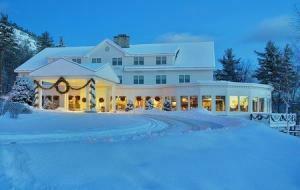 Join Foxy Travel with your family and friends for 2 Days/1 Night at Bretton Woods & The White Mountain Hotel & Resort! 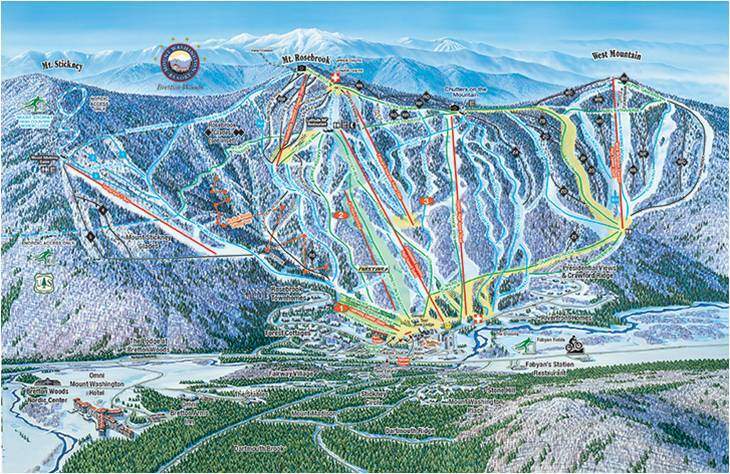 Bring your family and friends for a visit to Bretton Woods, New Hampshire’s largest ski area with 464 acres of skiing and snowboarding on 62 trails and 35 glades and 3 terrain parks! Ten lifts, including four high-speed quads, make your ride up the mountain almost as fun as the ride down. If there’s snow falling, chances are Bretton Woods got it – or they can make it with snow-making on 92% of their trails! With ample storage on our deluxe motorcoaches for all your gear, leave the driving to Foxy Travel and enjoy your time on the slopes! Saturday morning we will head straight to Bretton Woods for a full day of skiing and boarding. Come late afternoon, we will go to the beautiful White Mountain Hotel & Resort for an evening of relaxing in their outdoor heated pool, jacuzzi, dinner and fun with friends! Sunday morning fuel up with breakfast before boarding the motorcoach back to Bretton Woods for another full day on the slopes! We will depart the mountain at approx 5:00 pm for an approx 8:30 pm return to Foxy Travel. Option to Add Ski/Board Rental: $29 per person per day, regardless of age.